Aiseesoft SlideShow Maker is an easy-to-use slideshow movie creator which enables you to create your own slideshow in 5 steps. All video formats (MTS, M2TS, TS, TRP, TP, MPG, MPEG-2, VOB, DAT, MP4, M4V, RM, RMVB, WMV, ASF, DVR-MS, AVI, 3GP, 3G2, FLV, NSV, SWF, F4V, MPV, MOD, TOD, QT, MOV, DIF, DV, MJPG, MJPEG and WebM) can be adopted by this slideshow maker app for you to create your own slideshow files. What's more, online videos downloaded from YouTube, Metacafe, Vimeo, Yahoo, CBS, Niconico, Facebook, Dailymotion, Vevo, TED, youku, etc. can be directly used to make slideshow. Slideshow Maker supports almost all image formats like BMP, JPG, JPEG, PNG, TIF, TIFF, ICO, DIB, JFIF, EMF and GIF. This powerful slideshow maker provides various themes for you to make your own slideshow quickly. You can choose different styles' themes from Fashion, Happy, Sport, Travel, Business, Festival, Wedding, and Old Times to create the slideshow with built-in effects among. You can add your favorite music to this slideshow creator as the background music. 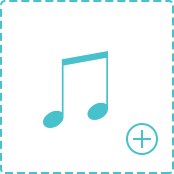 The supported music formats are MP3, MP2, AAC, AC3, WAV, WMA, M4A, RA, RAM, OGG, AU, AIF, AIFF, APE and FLAC. You can preview the effect of your self-created slideshow project before you output it. When previewing the effects, you are allowed to edit the opening and ending title to show your created slideshow to others. In this step, you could make the output settings for your slideshow video. Set output video format as MP4, AVI, ASF, MOV, MKV, WMV, VOB, M4V, etc. and the video resolution could be adjusted high to 4K UHD and 1080p HD, so that you could play the slideshow video on your iPhone XS/XR/X, iPad Pro/Air/mini, etc. easily. Aiseesoft Slideshow Maker shows you more enjoyable editing features, so that you can be your own slideshow creator. You are able to use the different editing features to specify the video with wonderful effects. Rotate video in 90 counterclockwise/clockwise. Flip video horizontally or vertically. Crop video to get rid of letterbox or get a close-up. Get a fast forward video playback for video. Extract original background music from your video. Put a silence on the whole slideshow movie. Put favorite color on video to create s different style. Set contrast, saturation and brightness for video. giving comments to get what you want. Aiseesoft Slideshow Maker is an easy but useful slideshow movie maker for any fresh hands in 5 steps to create video with photos, music and videos. I do really love this slideshow maker, because it gives me the template to create a slideshow with the cool themes. I really love the Fashion theme. This slideshow software is bravo. I just need to import photos and music file to it. And use the default themes to create my travel slideshow to share with my friends. What a wonderful slideshow helper. I use your program to make a wedding slideshow for my best friends. She is so moved by the show. Thank you for your maker. Convert video and audio formats, edit video and enhance output quality. Record any video and audio file from your computer and microphone easily. Convert video resolution between 4K and 1080p HD/SD for eyes' feast.